Welcome to Oxford Community Schools! We look forward to serving you. All prospective Oxford Community Schools students must enroll with our Enrollment Specialists. 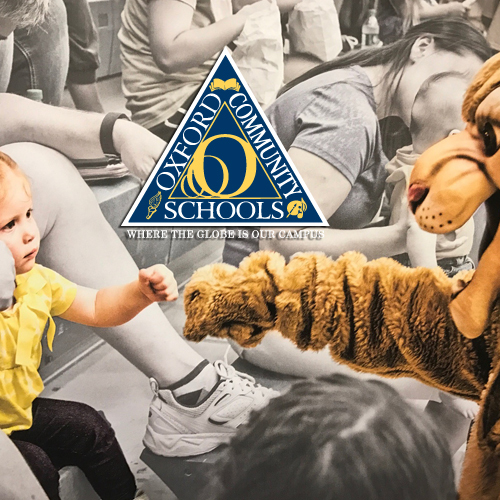 Do you live in (or are moving into) Oxford Community School District? Input your address into our School District and Attendance Locator to find out the school(s) that serve your address. If the address you enter is not in our district your result will display “address not found.” For residences near our district boundaries, please contact Kathy Rastigue in Student Services at 248-969-5019 to verify your home district is accurately displaying in the School District and Attendance Locator. If you live outside of the district please follow the School of Choice enrollment procedures. Still have questions? Check to see if our FAQ's page may help. For further help, never hesitate to call our Enrollment Specialist, Kathy Rastigue, at 248.969.5019.